Ozone is often equated with the layer of gas that protects you from the harmful rays of the sun. But ozone has also been studied and used for therapeutic purposes for more than 50 years, according to a 2011 review article published in the Journal of Natural Science, Biology and Medicine. Ozone gas is unstable and can be harmful, but when it's mixed with water to make ozonated water, it may help you get ozone's health benefits without the ill effects. A study published in Biomedical Reports in 2014 investigated the effects of ozonated water on acute inflammation in mice. The researchers found that the ozonated water helped reduce inflammation by decreasing factors that increase inflammation and promoting the body's natural antioxidants. While this study seems to indicate that ozonated water may serve as a more natural way to manage acute inflammation, more research is necessary to know whether it offers the same benefits for people. One out of every 6 Americans gets sick from a foodborne illness each year, according to the Centers for Disease Control and Prevention. Produce is a potential source of bacteria, which is why it's important that you wash fruits and veggies before you eat them -- even products that appear ready-to-eat such as bagged lettuce. A 2014 article published in the Journal of Food Science reports that washing produce in ozonated water may help reduce bacteria on produce and risk of infection, specifically salmonella on items such as lettuce, green onions and grape tomatoes. Drinking water is treated with chlorine to make it safe to drink. However, this type of treatment may increase the risk of certain types of cancer such as bladder cancer. 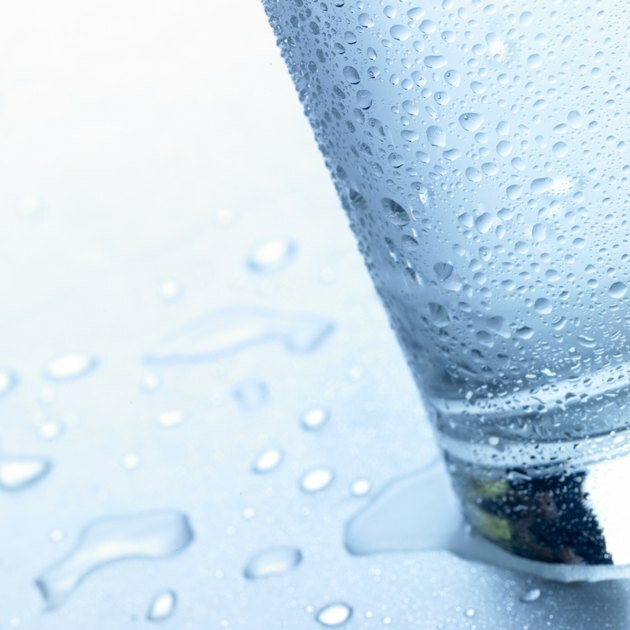 The French have been drinking ozonated water for decades, according to a study published in Epidemiology in 2004. The authors of this study suggest that based on epidemiological evidence, drinking ozonated water, as opposed to chlorinated water, may reduce exposure to carcinogens and reduce risk of bladder cancer. However, clinical studies need to be conducted to determine if drinking ozonated water actually lowers cancer risk. Ozonated water is purported to have medicinal benefits from helping treat cancer to detoxing the body. However, while ozonated water offers some health benefits and may be added to your diet without concern for harm, there is no evidence that it has any therapeutic benefits. In fact, ozone is very unstable and has a half-life of about 90 minutes, which means the amount of ozone in the water decreases by half in less than two hours and may be all gone in three hours. Epidemiology: Does Ozonation of Drinking Water Reduce the Risk of Bladder Cancer?